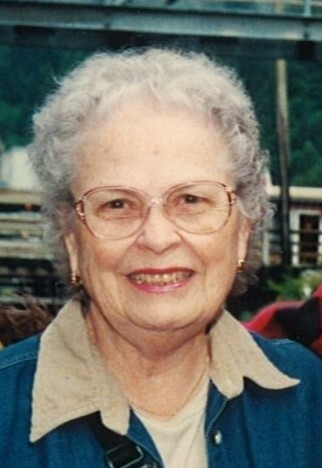 TEXAS CITY - Mrs. Mattie Mae (Keene) Wells passed from this life Tuesday morning, April 9, 2019, in Texas City. Born April 4, 1924 in Dayton, Texas, Mrs. Wells had been a resident of Hitchcock for most of her life. She attended First Baptist Church in Hitchcock. Mattie enjoyed crafts, making dolls and quilts, many of which she gave away, but nothing gave her more joy than her family, especially family gatherings. She was preceded in death by her parents, William and Maggie Mae (Gipson) Keene; husband, John Sam Wells, Sr.; brothers, William Keene, Drew Keene; sisters, Molly Belle Smith, Freda Kincaide. Survivors include her sons, John Sam Wells, Jr. and wife, Bobbi of Palestine, David Wells and wife, Sandra of Hitchcock; daughter, Brenda Wells-Blackmon and husband, Ronnie of Hitchcock; brother, Dewey Keene and wife, Carmen of Baytown; 9 grandchildren; 20 great-grandchildren. Graveside services will be conducted 10:00 a.m. Friday, April 12, 2019, at Galveston Memorial Park Cemetery, with Pastor John Elliott officiating under the direction of Hayes Funeral Home, (409) 925-3501. Memorials in the form of donations may be made in Mattie’s name to The Salvation Army, 4801 Emmett F. Lowry Expressway, Texas City, TX 77591.